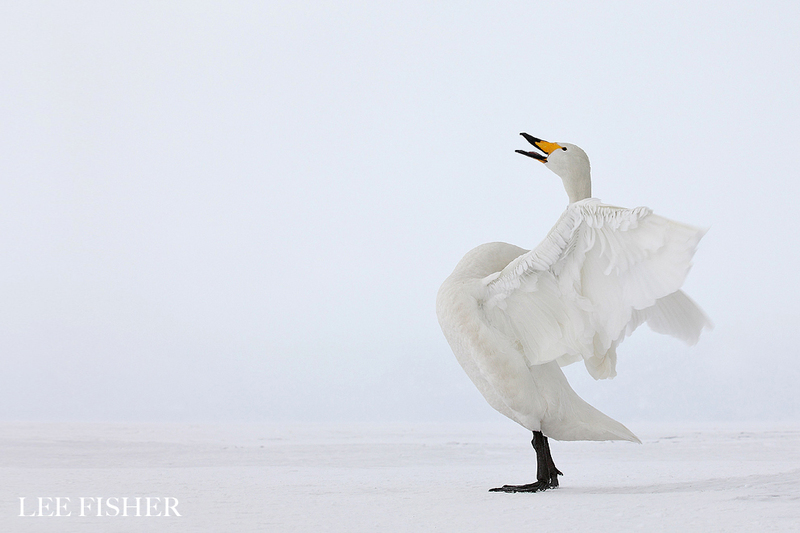 This image shows a Whooper swan calling out. This is part of their mating courtship which involves them trumpeting and flapping their wings. The shot was taken on a frozen lake on the northern Japanese island of Hokkaido.